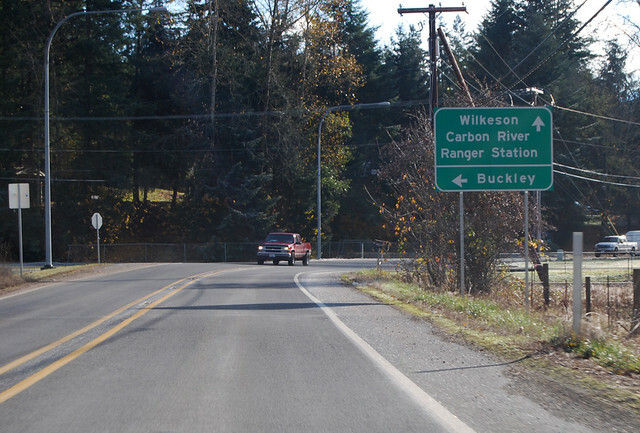 On Sunday, November 20, 2011, we drove the length of Washington State Route 162 through the valleys of east Pierce County. 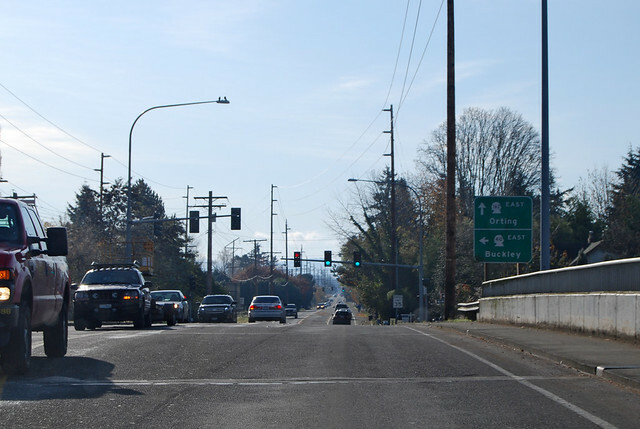 At the south end of Sumner, SR 162 starts at an interchange with the short freeway section of SR 410. Heading south, we cross the Puyallup River and head into farmland. 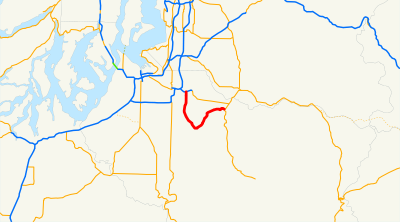 Gradually turning more southeast, we continue up the Puyallup River Valley to the rapidly expanding town of Orting at the confluence of the Carbon and Puyallup rivers. Mt Rainier looms beautifully on the horizon. Volcano evacuation route signs abound. This valley is not a place you want to be when a lahar comes rolling down the hill. 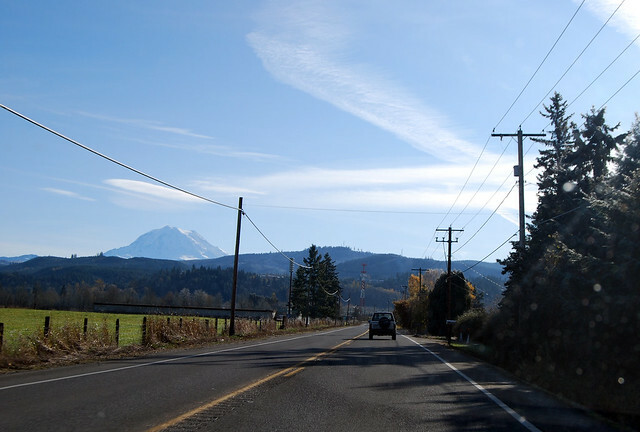 Just southeast of Orting, we reach the halfway point of Highway 162 in terms of travel time. Mt Rainier is still in view, but not for long. We leave the Puyallup River behind and follow the Carbon River east. After a couple miles, we leave the Carbon River, as well, and head up the narrow, farmland valley of South Prairie Creek. The valley expands as we pass through the tiny town of South Prairie. Just after town, SR 162 heads up the hill on the north side of the valley. 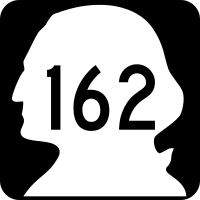 Shortly after arriving at the flats atop the hill, we reach the end of the highway at this junction with SR 165. Highway 162 is a peaceful drive through a valley that doesn't seem much different than it might have been 50 or 100 years ago -- except the paralleling railroad is now a bicyle trail. 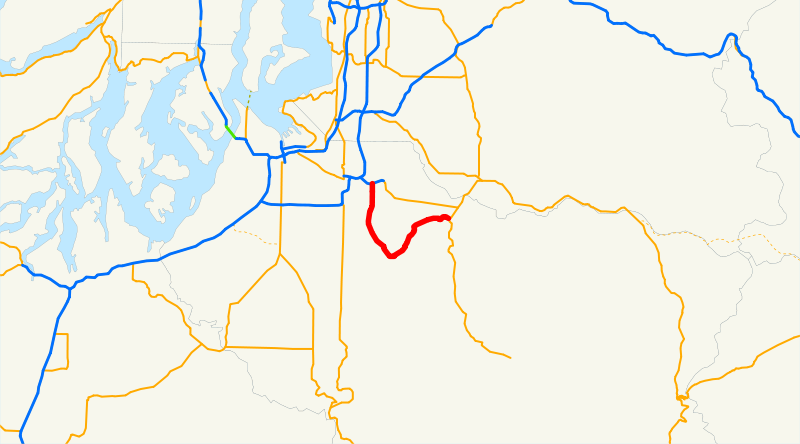 It's certainly the long way from Sumner to Buckley, ever since 410 was built, and (except for Orting) it avoids all the hustle and bustle atop the hill.